Wharmton Rise’s signature sound is based in a Berlin School frame with a little extra rock power thrown in. On his new outing, Inner Space, he mixes in an extra dash of Middle Eastern flair and grinds out eight pop-length pieces in just over half an hour. (Seven if you count the two takes of “Neural Interfaze” as one track.) Relying heavily on vocal samples, which he uses well, multi-musician Andrew Mark Lawlor comes in with the throttle jammed open and just keeps it going. There’s a fair bit of similarity from track to track–we get pulsing sequencers and big drums and wailing vocal samples in most tracks, but the energy helps to overcome that somewhat. Lawlor does a decent job of modulating his tunes, even if, again, said modulation tends to be similar as we go along. “Frostbite” kicks in with the familiar sounds, then downshifts into a more drifting space before firing it up once more. “Sorceror” does the same, the forceful passage dropping out to a cloudy-night kind of feel with a ringing bell in the distance. He slowly folds his sounds and beats back in to drive it to the finish. Lawlor also lands a couple of nice lounge-like moments, particularly in “Neural Interfaze”–lush, sensuous passages reminiscent, appropriately, of belly-dancer music. 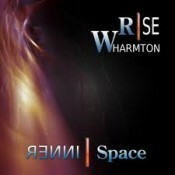 Inner Space is not, in my listening experience, Wharmton Rise’s strongest outing. Individually, the tracks work; it’s the similarity, especially in so short a time frame, that undermines this disc. Theme is one thing, but too much theme without diversity to off-set it is another. Still worth checking out. Lawlor knows his way around the style. Available from LAD through the Wharmton Rise web site.